Looking to better improve your basketball game? 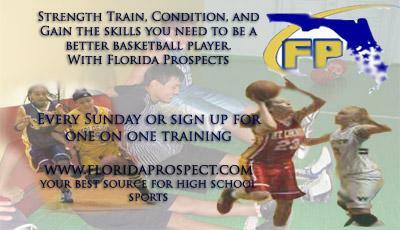 Come and train with Florida Prospects. Our staff includes coaches who have played on the collegiate and professional level. Whether you are a rising high school senior or young youth prospect looking to make an early name for yourself, our staff will help you to become a better basketball player. For more information, contact Kelvin Robinson at 407 221-1171 or Tommie Butts at 800 761-8854 or contact basketballtraining@floridaprospects.com.